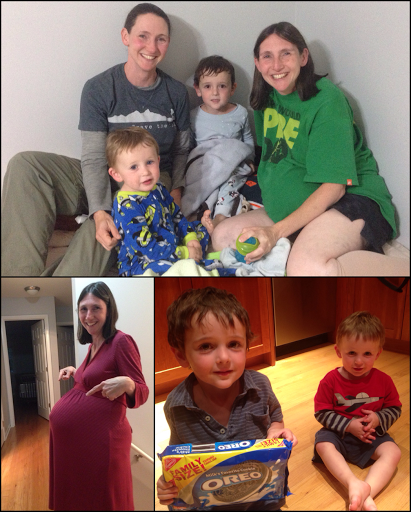 I took the week after the hike to fly to Chicago and stay with my twin sister and her family (husband and my 4yr and 2yr old nephews) awaiting the birth of her third son. It took four flights over 21hrs to fly from Prince George to Chicago the cheapest way…well, at least it was until the third flight, when I got held up in security with my hiking poles (never have had a problem flying with them before) and ended up missing a flight and paying for another, gawh! Oh well, good news is that I arrived and in plenty of time for the new little guy and we had Oreos, so we were prepared for anything! 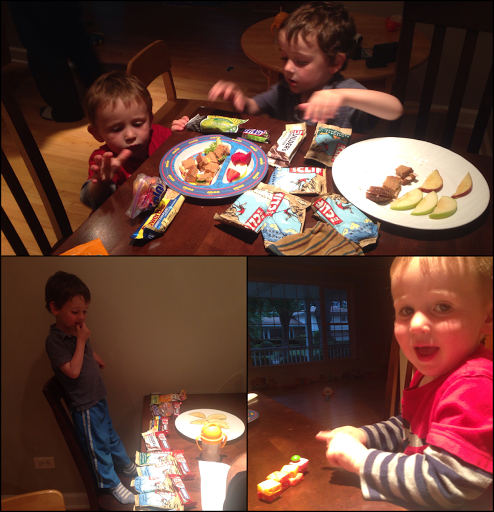 My nephews, Lucas and Aidan, are obsessed with collecting (not eating) Clif Bars and examining wrappers. They were quite pleased with my leftover bars from my final leg and they were repeatedly examined and well organized on the table at meals. Turns out Starbursts and Skittles make for great colorful building blocks too. 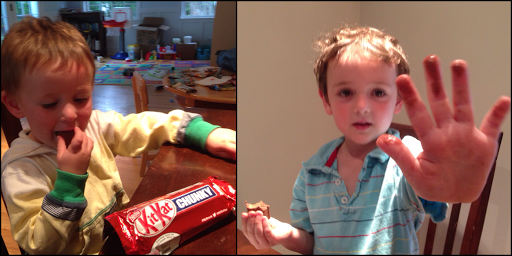 As a bonus, they also got their first ever Kit Kat Chunky bars and that was a chocolaty hit. 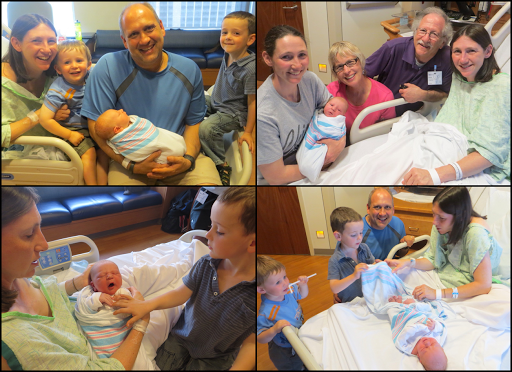 My newest nephew held out four days past his due date and was born the day before I left (induced to make the Sept 1st school cutoff date). What a moment to meet little Simon just hours after he was born and watch my nephews meet their little brother for the first time. They adore him greatly. My dad and stepmom were able to make it up from Southern Illinois too. It was great to all share this together. I just got back to Portland yesterday (just two flights for that one!) and jumped right back into nannying. Substitute teaching jobs will kick in soon, so I’m trying to take advantage of the down time to wrap up this summer’s hikes posts. They will be rolling out over the next couple of weeks. Surprisingly for me, my mind is already scheming future plans and I hope to have a good idea of what I’d like to do next season by the time the new year rolls around for a more formal announcement. I did an interview with the CBC (Canada’s NPR) on Daybreak Alberta that aired this past weekend. It’s just 12mins long, but nice to be able to share the trail with a different audience. Click here to listen to it if you are reading this through email. If you’re viewing this on the website, the audio track is embedded below.